Inspiring Felicity: School's In and I'm Back! School's In and I'm Back! What a refreshing summer!! It is always good for me to take a step back and figure out what is working and what isn't in my day-to-day and these last two months have allowed me that freedom! I'm working with a new game plan and finding it exactly what I need! Inspiring!! Yeah!! 2. Bees LOVE lemon-lime flavoured pop! 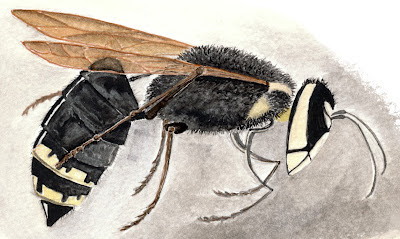 I was fascinated by one of these flying specimen, it was BIG and black and looked like it had yellow-y war paint, 'William Wallace-Highland warrior-style', on it's face, thorax, and abdomen. 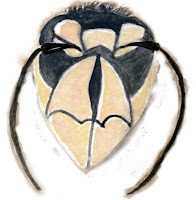 I had no idea what is was until I returned home and looked up the descrption on the internet... a Bald-Faced Hornet! Known for it's large paper-like nests and it's reputation for multiple stings while guarding said nest. Phew!! Glad we only discovered that online and not during our lunch! 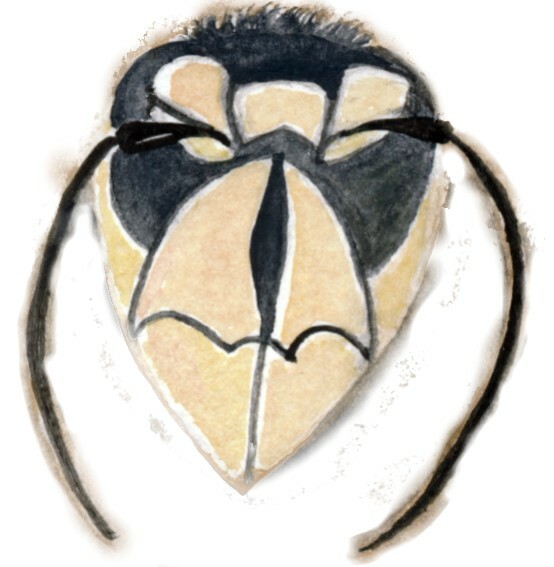 Anyways, short-story long, the next day my friend's son was back to work at a local farm where he was told to get rid of a bee that was building a nest in one of their packing crates and he recognized it to be a Bald-Faced hornet. Remembering that I was fascinated by them the day before he somehow euthanized it and brought me the specimen so I could study it and paint it! haha so funny that is true bees were everywhere in that spot LOL! The Bald-Faced Hornet - Hedged!